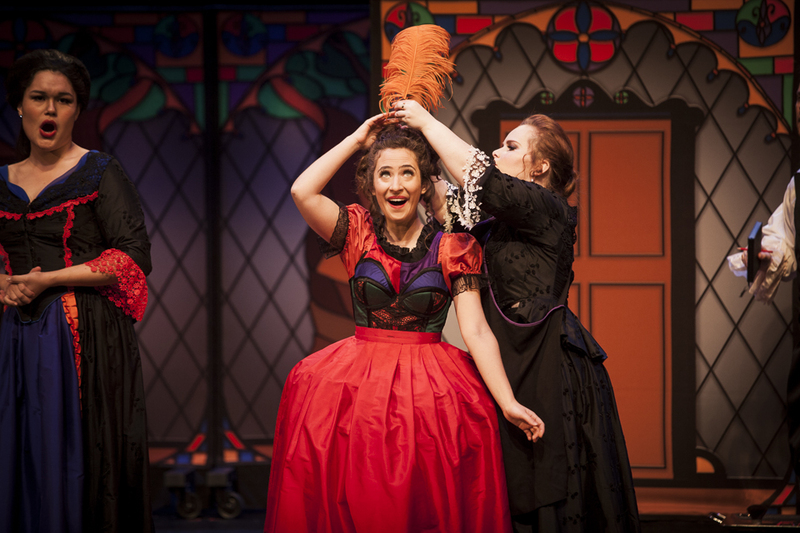 Victorian Opera, in partnership with Victorian Arts Centre, continues their quest to introduce children to opera with a neatly edited, attractively staged production of Massenet’s Cinderella (Cendrillon). 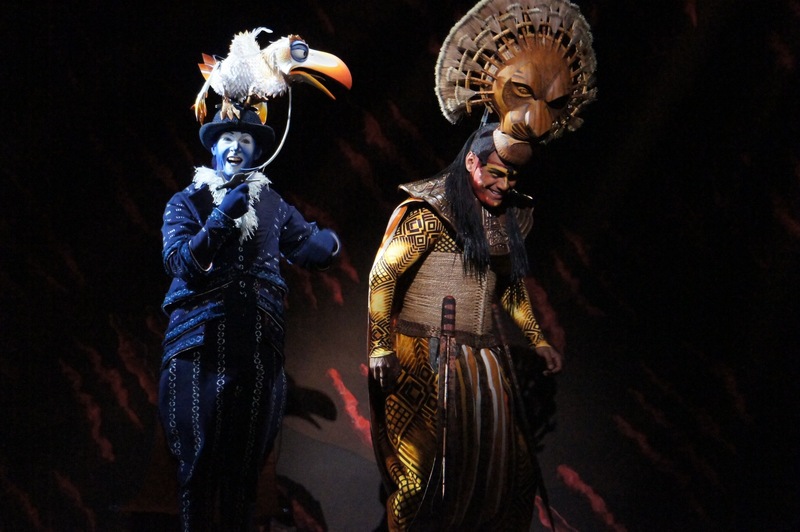 With a brisk running time of 50 minutes, and gorgeous sets and costumes to enjoy, the opera is accessible and entertaining for children of all ages. Man in Chair took along Miss Five, who sat in wide-eyed wonder with neither a wriggle nor a word. To provide an authentic opera experience, the libretto is sung in French and there is a generously sized live orchestra of 14 musicians. Conductor Phoebe Briggs prepared the young musicians with her usual meticulous care, and the music sounded splendid. Rather than overwhelm young readers with an onslaught of surtitles, a simple sentence describes the spirit of each aria or musical moment. Miss Five, a dedicated Cinderella expert, followed the story with ease, her imagination clearly activated by the music and performances. 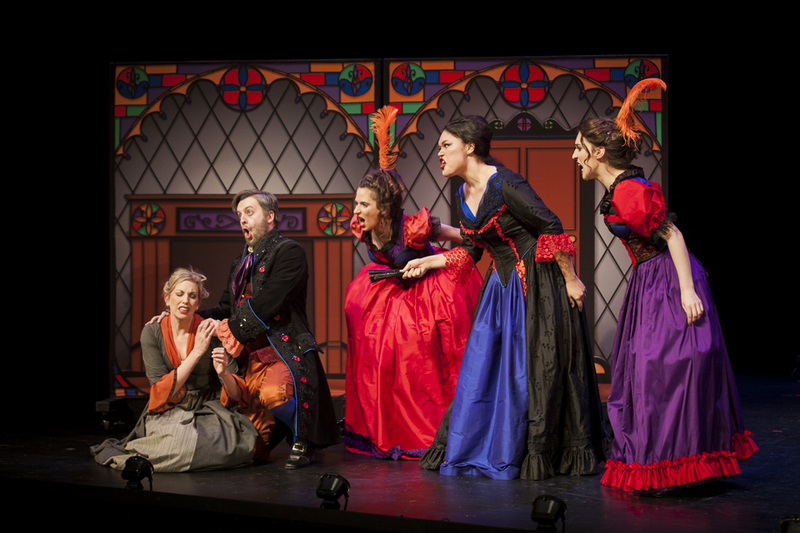 While the use of French does keep the work authentic, an English libretto may have increased the accessibility of the work. There was a sentence or two sung in English at the end, and the difference in reception from the young audience for that moment was discernible. Candice MacAllister’s excellent designs give the production a polished, highly attractive look. 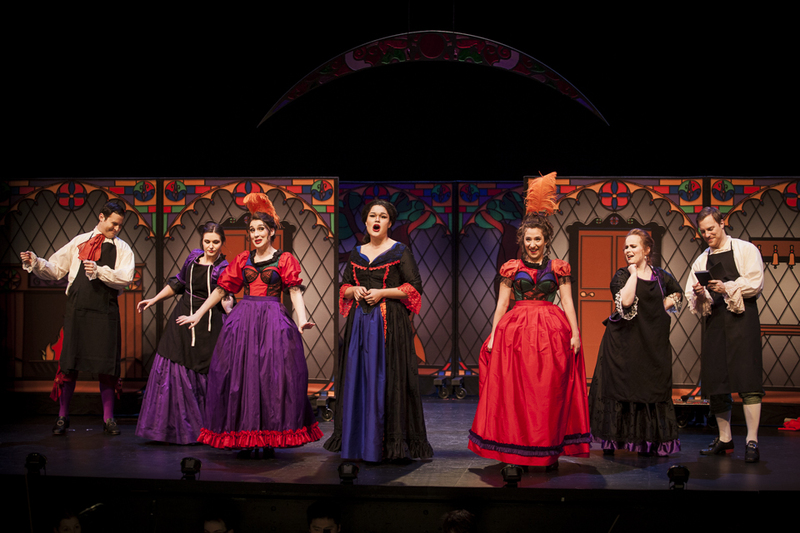 Vivid reds, green and purples link the storybook scenic design with the costumes of the wicked stepmother and daughters. 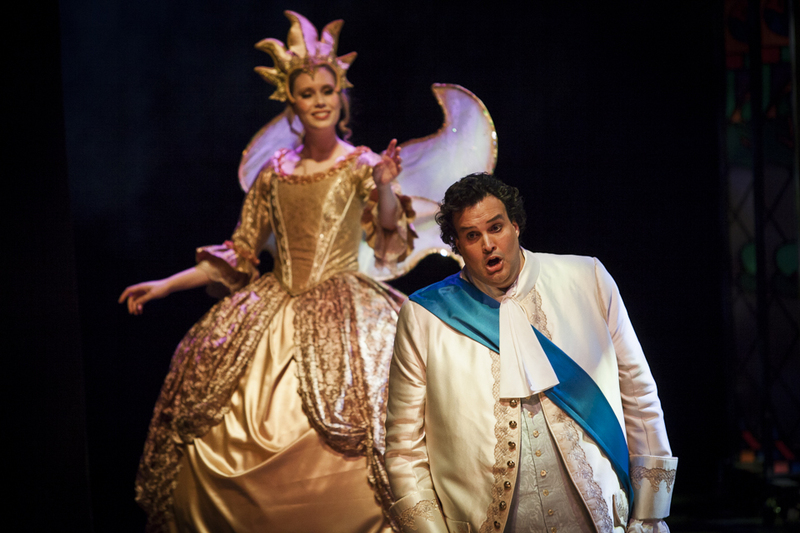 With the help of the golden-winged Fairy Godmother, Cendrillon changes from humble rags to a lovely flowing gown of baby blue. Prince Charming is equally smartly attired in cream frock coat and regal blue sash. 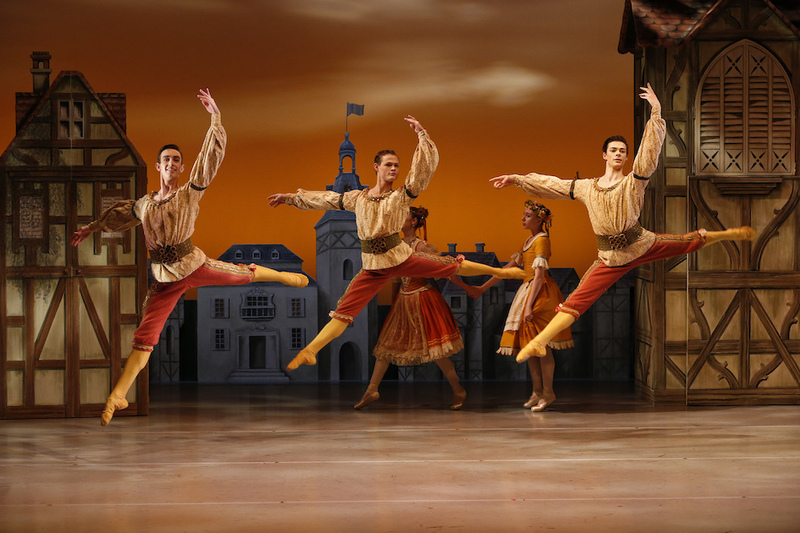 Continuing the genuine experience, each of the eleven cast members is a highly talented emerging artist of considerable note. This streamlined version of the opera shares the singing evenly between all performers, and the well-matched artistic gifts of these singers makes it difficult to select highlights. 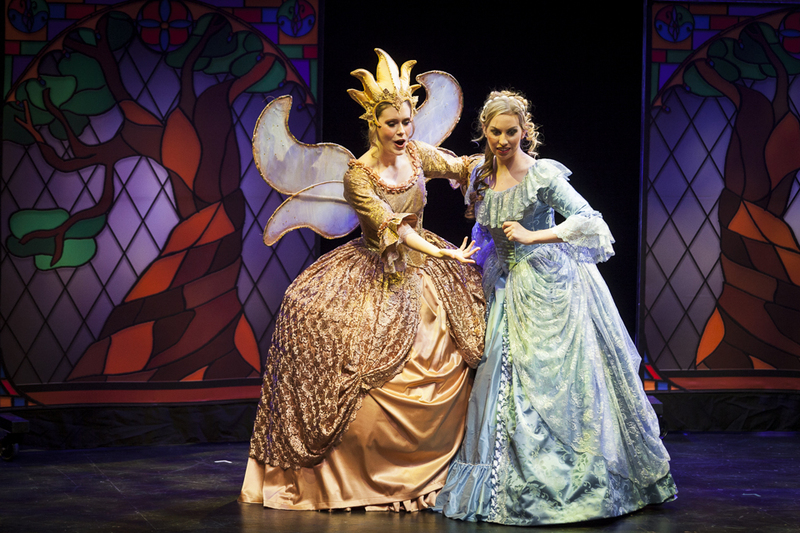 Both the talent and the audience of tomorrow are well catered for with the quality of Cinderella. 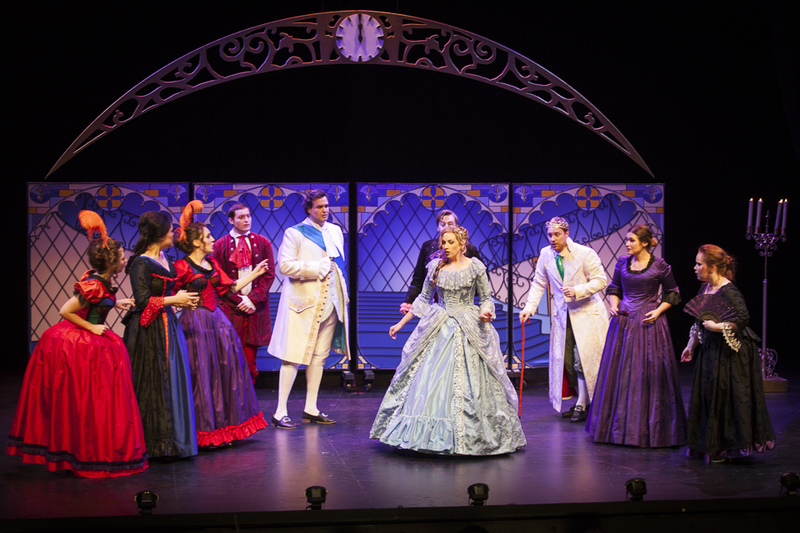 Cinderella was performed three times at Playhouse, Arts Centre Melbourne on Saturday 16 July 2016. 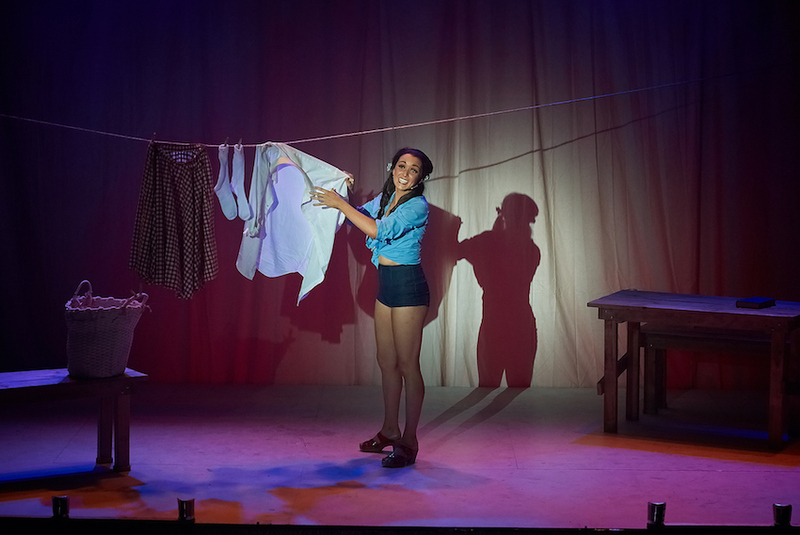 Schools performances were given on Friday 15 July, with more to come on Monday 18 July.